The GAA (Gaelic Athletic Association) was founded in 1884 and is responsible for the four national games of Ireland: hurling, Gaelic football, camogie (hurling for women) and handball. 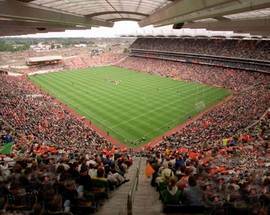 Croke Park - the Association's magnificent showcase stadium (cap. 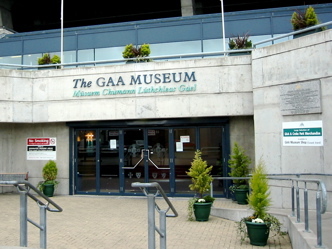 82,500) and HQ - is home to a museum celebrating the GAA’s unique historic, sporting and cultural significance in Ireland. Daily Tours bring you behind-the-scenes at this vast sporting facility. Check ahead for times and availability. For updated match fixtures click here. Many of the GAA's members played a pivotal role in Ireland's struggle for Independence and, to this day, the Association acts as an important conduit for Ireland's indigenous heritage. Forty audiovisual shows bring players and past memories to life, from goalkeepers to the women's game, provincial stadia to the stadium's darkest hour when, in 1920, the British Army's Black and Tans murdered 13 spectators and player Michael Hogan in an indiscriminate attack. 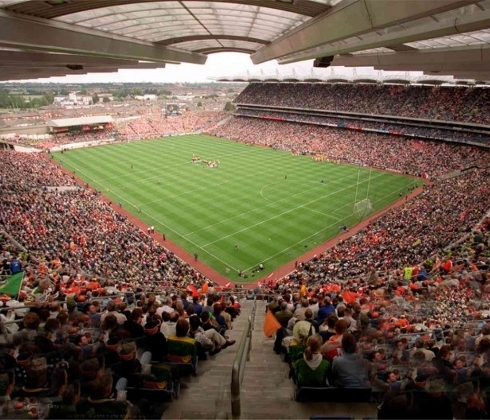 A relaxation of rules banning non-GAA sports has recently seen Ireland's soccer and rugby teams using Croke Park while their home - Lansdowne Road - underwent a major redevelopment (and a name change to the Aviva Stadium). Two American Football matches, the opening and closing ceremonies of the 2003 Special Olympics (the first outside the USA) and the Mohammed Ali v Al 'Blue' Lewis 1972 boxing match have also been staged here. And Antipodean visitors will revel in the International Rules exhibit highlighting Gaelic and Aussie Rules Foootball matches. The Museum Café is open Mon-Sat 10:00-15:00 and on match days. Jan-May & Sept-Dec: Mon-Fri 11:00, 13:00 and 15:00, Sat hourly 10:00 - 15:00, Sun & Bank Hols hourly 120 - 15:00. June: Mon-Fri 11:00, 13:00, 15:00 & 16:00, Sat hourly 10:00 - 15:00, Sun & Bank Hols hourly 11:00 - 15:00. July & Aug: Mon-Sat hourly 10:00 - 16:00, Sun & Bank Hols hourly 11:00 - 15:00. Etihad Skyline Tours Jan-Apr & Oct-Dec Fri-Sun 11:00 & 14:00, May-Sept daily (check skylinecrokepark.ie for times). June-Aug: Mon-Sat 0930-18:00, Sun & Bank Hols 10:30-17:00. On match days the museum opens at the same time as the turnstiles and is accessible to Cusack Stand ticket holders only. 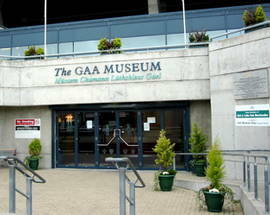 Stadium Tour and Museum Adult €12, U12 €8, Conc. €9, Family (2+2) €32, U5 Free. Family (2+2) €65. Museum only Adult €6, U12 €4, Conc. €5, Family (2+2) €16, U5 Free.